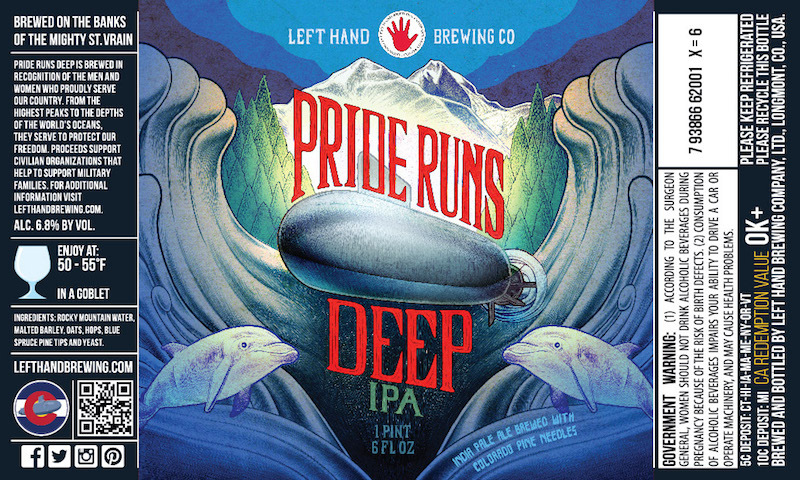 (LONGMONT, CO) – Left Hand Brewing Co. is adding two new 22oz limited release beers to their Big Mo series – Pride Runs Deep and Rye on the Prize. Pride Runs Deep IPA with Colorado blue spruce pine tips is brewed in support of the USS Colorado Commissioning Committee. Running silent in the deep for months at a time, the attack sub and 134 officers and crew members are armed and ready to protect our oceans and territories from threats against our freedom. Pride Runs Deep will be released at Falling Rock Tap House on June 29th at 4pm, in the company of supporters and veterans. Proceeds will help support the Committee, funding commissioning events and supporting the crew. More information on the Committee can be found at http://usscoloradocommittee.org/. 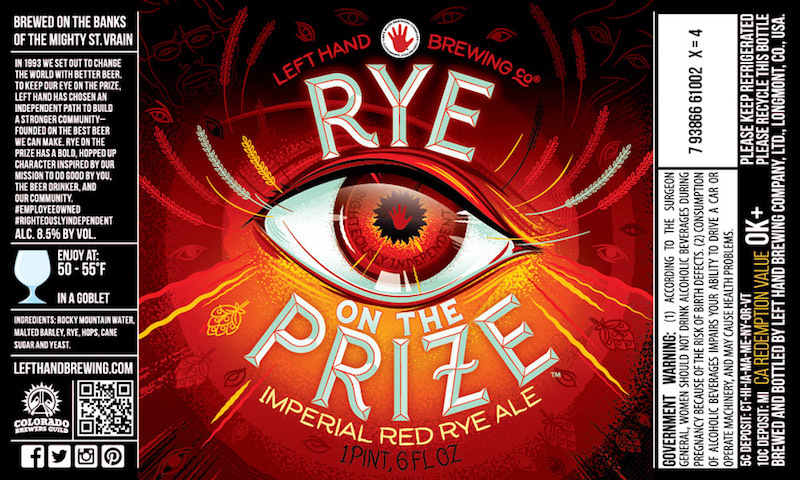 Also, this July, Left Hand Brewing Co. will be releasing Rye on the Prize, a bold Imperial Red Rye Ale dedicated to the spirit of independence. Rye on the Prize is inspired by the Left Hand’s 22 year commitment to keep their ‘eye on the prize’ – to brew great beer, stay independent and give back to the community. “In 1993 we set out to change the world with better beer. To keep our eye on the prize, Left Hand has chosen an independent path to build a stronger community—founded on the best beer we can make. Rye on the Prize has a bold, hopped up character inspired by our mission to do good by you, the beer drinker, and our community.” shares Eric Wallace, CEO and co-founder of Left Hand. Rye on the Prize will be available through September and distributed across Left Hand’s 36-state distribution.